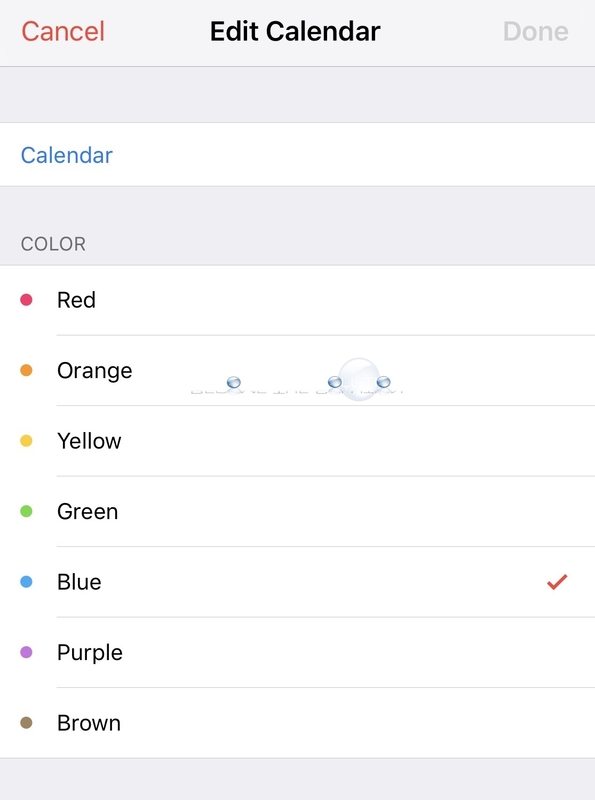 You can easily change the color of any calendar added to your iPhone. Follow these steps. 1. 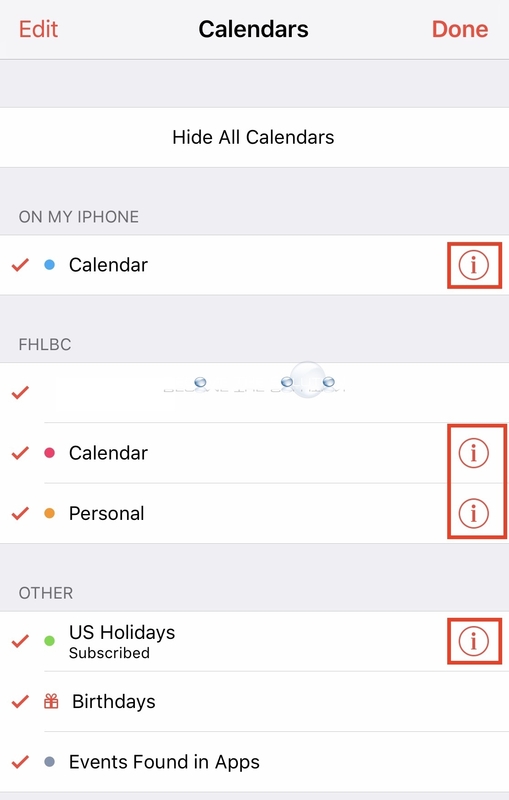 Open your Calendar App on your iPhone. 2. 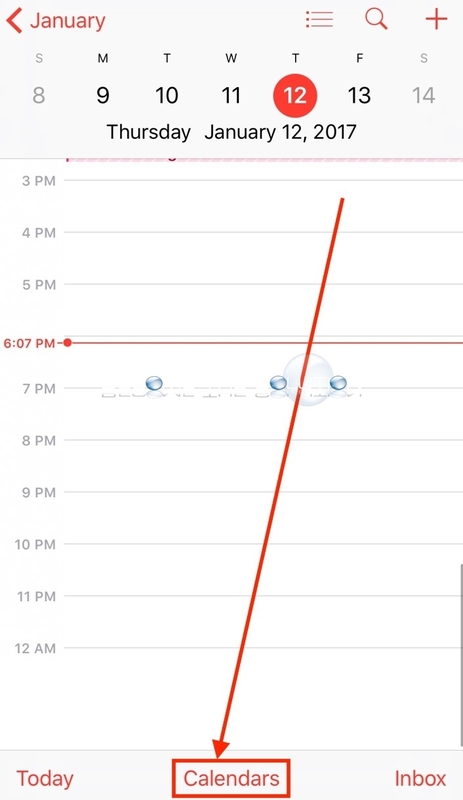 Select Calendars at bottom. 3. 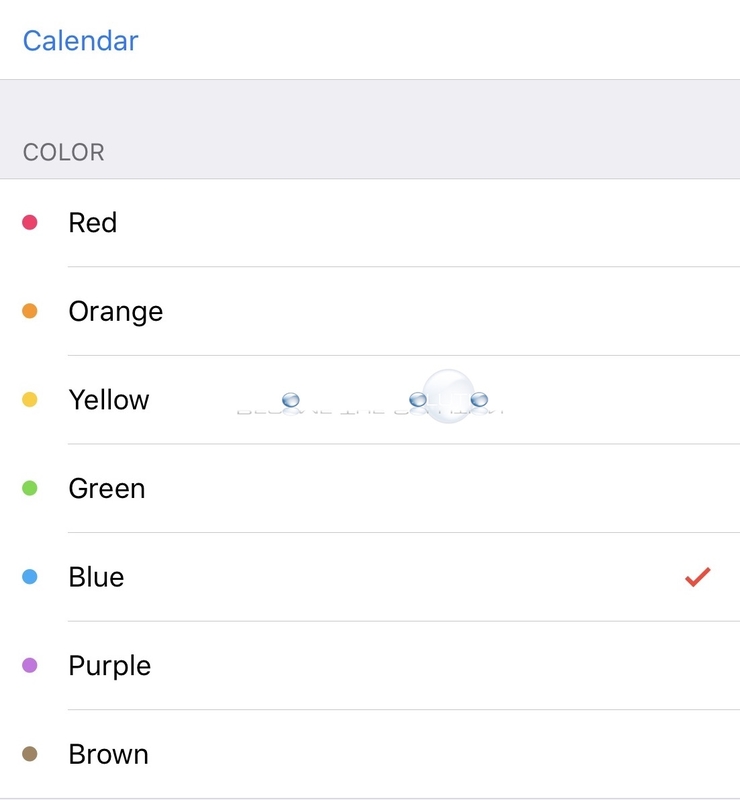 Find the Calendar added on your iPhone you want to change the color for. 4. Select the info icon next to the calendar name. You will be able to change the color of your calendar to red, orange, yellow, green, blue, purple, or brown.